The Vision condominium. This high rise building was completed in 2016 and is located on the highest point on Pratumnak Hill. As with many new towers, this developer made sure that the building boasts an infinity communal sky pool on the 20th floor which offers some sensational panoramic views of the beaches and the city, plus from this 20th floor there is a sea-view gymnasium and beautiful sky lounge. The entrance to the building is with state of the art security keycard systems. The high vaulted reception lobby leads you through to the 2 high speed elevators. 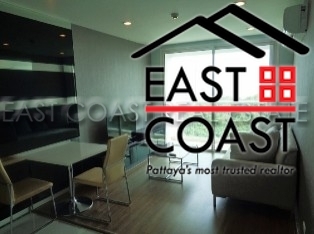 This 18th floor 44 sq.m is a corner unit which consists of a 1 bedroom, 1 bathroom layout. 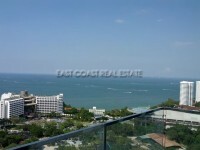 Being located on such a high floor gives an owner impressive unobstructed view of Pratumnak Hill, the city and Pattaya bay. This condo also Includes Free cable TV and Private WIFI. 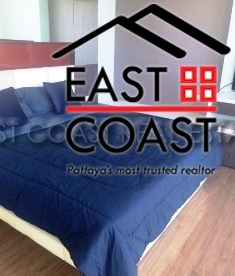 This condo is offered for sale fully furnished and fully air conditioned in each room. At the far end is a fully functional fitted kitchen with all built appliances. The building also provides 24 hour security and CCTV plus a secure CCTV car park. Owned in Foreign Name ownership this re-sale unit is priced aggressively! !